(1) There are no true freebies in tree care. Yes, many offer free estimates, free consultations, free evaluations, and free inspections, often under the pretext of providing free advice. But they are only able to do this if they are able to sell you or their next prospect, a service. That service often involves cutting down, pruning or treating your trees (the salesperson that leaves empty-handed once too often gets fired!). But, what if your trees don’t need to come down? Or the proposed pruning or treatment does more harm than good? One large tree can cost thousands to remove. Over 80% of ‘professional’ pruning does more harm than good. The treatment prescribed may be ineffective or unnecessary. Is there a better way? We believe so! (2) We offer expert tree evaluations for a small fee at our cost (we do not make money on this). Having a Board Certified Master Arborist who is Tree Risk Assessment Qualified ensures we are as qualified as any other arborist in the State. Our unmatched reputation is backed up with over 100,000 successful Tree Risk Assessments and Health Diagnoses. No other arborist comes close! (3) Should your trees require further attention, we can impartially recommend proven companies that won’t take advantage of you (we don’t accept or give referral fees). We are the closest to a watchdog you will find in the Upstate. What do you charge for a Tree Evaluation? Our rates start at $50 for a tree in the downtown Greenville area. It may be more if more trees are involved and/or we have to travel out of town. This only covers our cost! It makes good sense to find out what’s wrong before treating. Doing otherwise may prove costly, if not harmful to your trees. The majority of our evaluations don’t involve further action by us. Often, cultural changes (watering, mulching and fertilizing) are all that is needed! This will likely save you a lot of money. If we have to treat, our fee will be applied towards the cost of treatment. What if you only have to 'look' at our tree. Do you charge for that? Looks are free. But reliable diagnosis and risk assessment (hazard evaluation) requires that we physically examine your tree (anything less would be irresponsible). This may involve digging up the root collar, testing the soil, sounding for trunk decay and retrieving crown samples (for lab analysis). We sometimes get calls from disgruntled owners who have spent thousands on services that did not work. In some cases, their trees actually got worse. “But they were so convincing!” We so often hear. There is something better than putting the lives of your loved ones, and the property you have worked so hard for, into the hands of a persuasive salesman. Let us help you. We will save hundreds, and more likely, thousands of dollars, while getting to the root of the problem. Can you tell me what’s wrong with my tree over the phone? If possible, we to try to help owners and managers over the phone. But more often than not, the problem is more complex than what appears on the surface, and warrants closer investigation. Reliable diagnosis and risk assessment (hazard evaluation) requires that we physically examine your tree—anything less would be irresponsible. Evaluation may involve digging up the root collar, testing the soil, sounding for trunk decay and retrieving crown samples (for lab analysis). For this service, we charge a nominal fee, which can be applied towards treatment (if treatment is needed). A Board Certified Master Arborist, who is Risk Tree Assessment Qualified, with over a hundred thousand successful health diagnoses and risk assessments under his belt. No other arborist in the state comes close! 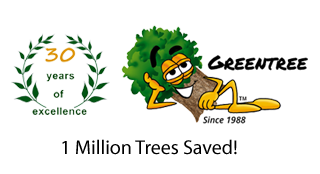 What is the difference between an arborist, a certified arborist, and a Board Certified Master Arborist? While a horticulturist is a gardener, a forester a forest manager, and an urban forester an urban forest policy enforcer, an arborist cares for individual trees (a ‘tree doctor’). Arborists are knowledgeable about the needs of trees and are trained and equipped to provide proper care. Though these roles often overlap, their training and focus are quite different. Certified Arborists have achieved a level of knowledge in the art and science of tree care through experience and by passing a comprehensive exam by the International Society of Arboriculture (ISA). Since certification requires ongoing education, certified arborists are more likely to be up to date on the latest techniques in arboriculture. While certification can attest to basic tree knowledge, it cannot ensure ethics or performance. The Board Certified Master Arborist (BCMA) credential recognizes the top few ISA Certified Arborists who have reached the pinnacle of their profession. BCMA certification involves significant experience, advanced education, and passing an extensive, scenario-based exam that covers a broad scope of arboricultural management, science and work practices, as well as following the BCMA Code of Ethics, and continuing education (20 hours a year). While there are over 30,000 ISA Certified Arborists in the world, only 565 are BCMA’s (less than 2%). South Carolina has only 4! We do more than stand. Except for ongoing consultation and ligation (for which we may require a retainer), we only accept payment after we are done and you are satisfied. If a treatment does not work, we will promptly return to treat your tree again. Having even one dissatisfied client is one too many. To us, this is more than a lofty goal, but rather, a sacred oath we have lived by for 3 decades! We are centrally located in Greenville, SC, so we can more easily respond to the needs of the great people of the Upstate. Because we offer specialized services that may not be found in other areas, we also service the Tri-state area (North Carolina, South Carolina & Georgia). We have done work as far away as Florida to Maine to Oklahoma. Don't trees take care of themselves? They do in a pristine forest. But when you introduce man into the mix, man must step in to help. Building in remnant forests, and introducing new trees and plants into a ‘construction-ravaged’ landscape, requires competent attention. We can help you with this. Our services are especially geared towards offsetting urban development and its effects on trees. What is the biggest killer of our trees? The greatest threat to our trees’ well-being is not disease, bugs, lightning, ice or even wind! Our trees’ most harmful pests do not crawl along the ground, but rather, walk upright on two legs. While bugs invariably catch the blame, sick trees are most often predisposed by the very ‘professionals’ we hire to work around, and even on, our trees. How are you different than other tree service companies? We are devoted solely to the preservation of your trees. We provide the no-nonsense guidance and proven therapy necessary to keep your trees safe and healthy. We believe having the job done right the first time is the least expensive avenue you can take. Mission statements are fine, but we believe one’s reputation speaks louder than the best of intentions. For 3 decades of dedicated service to the good people of the Carolinas, we’ve never had a man get hurt on the job, filed an insurance claim, appeared in court with a client (unless to represent him or her), had a compliant lodged against us, overcharged for a service or found need of a collection agency. When you shake our hand, you can bet we will do exactly what we said we would do. We consider ourselves your servants, and our service a calling that we hold with a sacred trust. Can you help me with a difficult neighbor? In addition to our consultation and treatment services, we also provide help with conflict resolution, accident investigations, impact assessment, personal injury, trespass, vandalism, eminent domain, easements, insurance claims, appraisals (valuation) and litigation support. You want Greentree on your side! What is Root Zone Therapy? Trees in a pristine setting, like a forest, grow well without the aid of man. But when we build near a remnant of the forest, and introduce new plants into an urban setting, many of our trees perish without adequate preservation, rehabilitation and installation. Even with the best of intentions, developers, builders, grading contractors, paving contractors, utility contractors, irrigation contractors, and even many landscape contractors and tree removal services, overestimate their ability to preserve trees. Their actions can, and often do, cause irreparable damage to our precious trees and landscape. It’s been estimated that 80 to 90% of the tree problems we see above ground, are related to issues that occur below ground, in the area we call the Root Zone. That is where we focus our attention. Root Zone Therapy remedies many of these problems. This can involve soil testing, Root Collar Inspection, Root Collar Extraction, Root De-girdling, Soil Fracturing, Soil Conditioning, Soil De-compaction, amending the soil, and cultural recommendations from a Board Certified Master Arborist. Does Root Zone Therapy really work? Of the thousands of trees we treat each year, 90% will see a measurable improvement in 30 days (during the growing season)! 99% of our clients that also follow our cultural recommendations, will see a measurable improvement within one year. We are not aware of another Upstate company that comes close! Is Root Zone Therapy safe? Of the several thousands of trees we have treated in the Tri-state, we have never seen our Root Zone Therapy cause any property damage. Compressed air passes harmfully below ground until it encounters compacted soil, which it then fractures. These small fractures then become new growth pathways for roots. The result is corresponding growth in the leafy crown.